Oh my gosh what a great book. It’s the story of Joseph Connell who has a terrible car accident and by the wheel of fate ends up encountering Lahiri and old Hindu man who has met Joesph before in a different lifetime. Joseph become greatly injured seeks out the Old wise man to work mind over matter to walk again. Joesph learns along the way to love and forgive those even when they have wronged you, and to appreciate all you have in life, as it can be cut short. The writing style and description really made you feel like you were there in Montana and again in India. Made me want to watch Gandhi again. I just loved the relationship between Lahiri and Joesph, and Joesph with his brother Billy. Definitely an author I will be on the look to work with again and to read his wonderful words again. 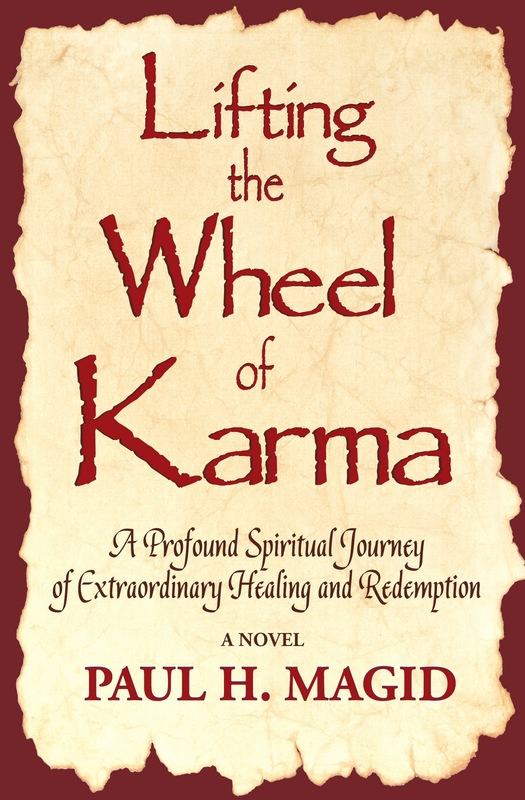 My novel, LIFTING THE WHEEL OF KARMA, is a profound spiritual journey of extraordinary healing and redemption in a modern tale that harkens back to the myths of antiquity. The creative drive to craft this novel, that is a distinctive mix of enlightening spiritual journey with the intensity and power of the ancient mythological archetype, came directly from the life I have lived of unrelenting hardship and penetrating adversity, that severely tested my inner strength, resolve, and belief system. I have endured more in one life than some people might face in ten lifetimes. I have been paralyzed from the neck down in a severe spinal compression accident, though fortunately I made a full recovery. I was beset in the decades that followed with multiple joint reconstruction surgeries, Hashimoto’s Disease (thyroid), Gilbert’s Disease (liver), Crohn’s Disease (intestinal), and Addison’s Disease (adrenal). I still must take more medications each day than most people take in vitamins in a week’s time. Life itself is, of course, a spiritual journey, often a painful one, yet persevering through that pain can lead to powerful wisdom and healing insights. For me, the most engaging spiritual stories are the ones that tap into the mythical dimension that resonates deep within the collective unconscious of us all. While I always knew I wanted to share with the world a deeply meaningful tale, I also knew I wanted to deliver one that recognizes that our lives are permeated and guided by forces beyond our control, forces more powerful than us, and very often with designs not of our choosing that will challenge us physically, emotionally, and spiritually. 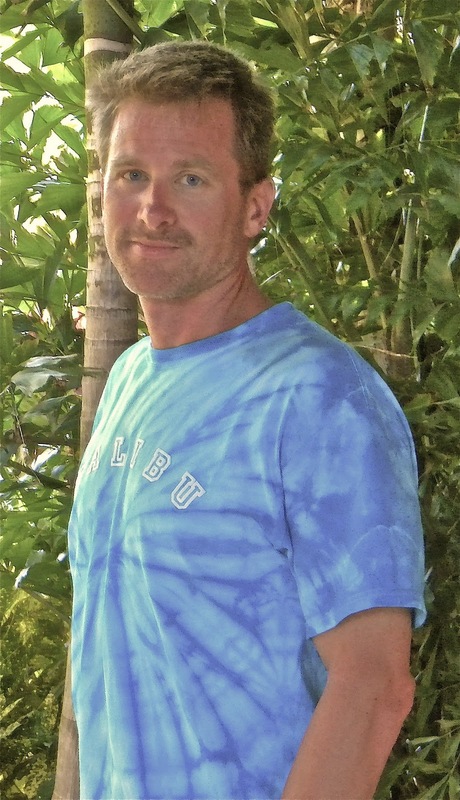 It was with all of this in mind that I wrote LIFTING THE WHEEL OF KARMA, a story that brings to life Joseph Connell, a gifted high school athlete from Montana, loved deeply by his family, yet tormented by nightmarish visions he can neither explain nor escape. If Joseph is ever to find the peace he so desperately seeks, he must get this wise old man to reveal what he truly knows, but that will not be easy...for this sage knows far more than he truly admits. 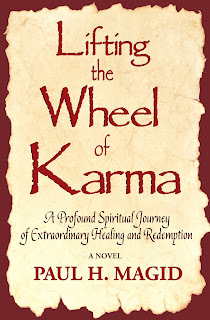 I started writing LIFTING THE WHEEL OF KARMA twenty-five years ago while still in high school. I tried repeatedly to abandon it, because the work was so difficult, but the work refused to be forsaken. Eventually I realized that sharing this story with the world was, in fact, my Dharma –my duty in life.